Public garage is located around the corner on 22nd Street between I Street NW and Pennsylvania Ave. Metered street parking is available in the neighborhood. Foggy Bottom Metro stop is located directly across the street, off the Orange and Blue lines. 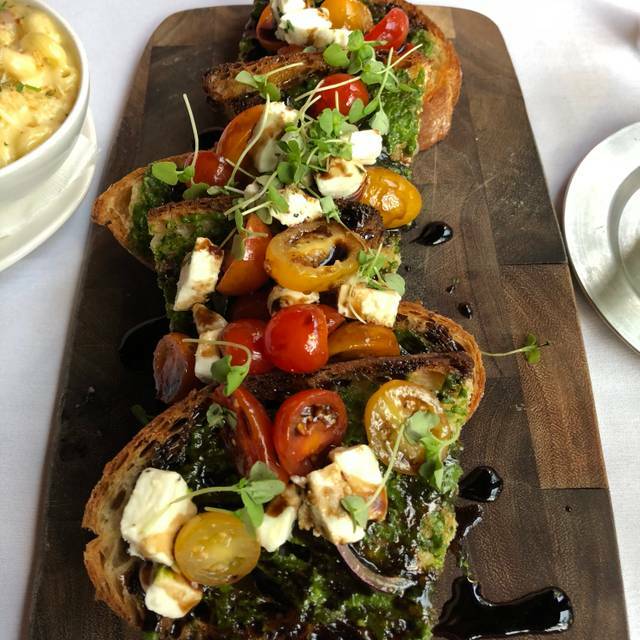 All of our CIRCA restaurants are neighborhood bistros serving delicious food and drinks. Each CIRCA is warm, inviting and offers an energized social scene. Whether dropping in for brunch, lunch, dinner — every meal is accompanied by an extensive wine list, including over 20 wine offerings by the glass and a seasonal cocktail list. Our patios are located on the best city corners for a vibrant dining experience. Join us and dine well! The background music was great and the food was Amazing!!! Our waiter was also Awesome!! CIRCA was outstanding. The service was impeccable. The food delicious. The staff was very off and just give the impression they cared. The service was slow and there were no recommendations. The noise level was high even though we sat outside! Food was really good - go for the ahi tuna salad. Just okay from a local! I very much enjoy dining at Circa, but there seems to be a noise level which makes it difficult to hear others dining with me or even the server when she is sharing dining selections. The food is exceptional and the location is great for the theater. Michael, thank you for joining us! We are so glad you enjoyed the food and are so sorry the noise level impacted your experience. We look forward to seeing you again soon! My husand and I enjoy the meal. He had the seafood jambalaya and I had the braised short ribs. Everything was delicious. The wait staff was awesome. We shall return. Tara, thank you so much for joining us! We are so glad you enjoyed the Jambaya, Braised Short Rib, and service. We look forward to seeing you again soon! 2nd time there & equally as pleasant as the 1st. Great place for pre-show dinner. Kennedy Center shuttle right across the street & Foggy Bottom Metro. Location, location. Truly a great dining experience. Thank you so much for joining us! We are so glad you enjoyed everything! We look forward to seeing you again soon. Food was delicious - but the noise was too much inside next to the bar. I could not hear my husband talk the entire time. I know there was outside seating - but husband wanted to be inside. The tables inside are very close together and needed to have table cloths like the ones in the outside seating area. Patricia, thank you so much for joining us! 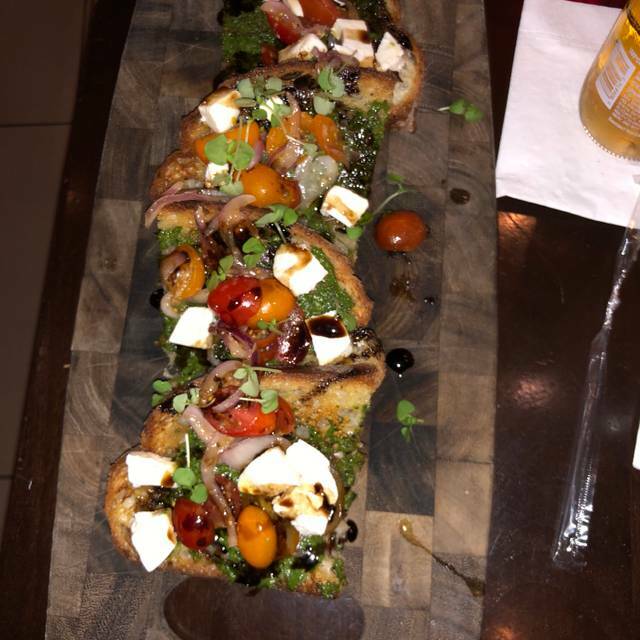 We are so sorry the noise level impacted your experience with us but are so glad to hear you enjoyed the food. We look forward to seeing you again soon! Great food. Great drinks. Great service. Great location. Thank you so much for joining us! We are so glad you enjoyed everything and we look forward to seeing you again soon! Thank you so much for joining us! We are so glad you enjoyed the food and service. We look forward to seeing you again soon! Cocktails were great, sitting outside was very nice! Food was good, and our server Kyle was amazing! Benjamin, thank you for joining us! We are so glad you enjoyed the cocktails, food, and Kyle's service. We look forward to seeing you again soon! The food here was absolutely delicious and innovative. The best meal we had while visiting DC. We sat outside and were very happy with the noise level and the ambiance. It’s 100% worth checking this place out. Thank you so much for joining us! We are so glad you enjoyed everything and look forward to seeing you again soon when you're back in the area. We look forward to seeing you again soon! Food is good , 20 min for a glass of wine is too long . Thank you so much for joining us and for your feedback. We are so sorry to hear about your experience and will be following up with our team to address your feedback. We look forward to seeing you again soon! Hostess’s very accommodating when asked to move to outside instead of inside dining. Thank you so much for joining us and for your feedback! Great food and menu options! Ambiance was awesome and the team was wonderful. Angela, thank you so much for joining us! We are so glad you enjoyed the food, menu, ambiance, and service. We look forward to seeing you again soon! I would recommend that you not go during happy hour if you want to sit and have a conversation with friends. During happy hour it is very noisy and very loud. It is very had to hear someone sitting next to you. Go after happy hour is over. Joyce, thank you so much for joining us. We appreciate your feedback and hope to see you again soon! Pre Kennedy Center ballet dinner with teenage daughter and step mother. Running late due to bad traffic and our server was very helpful and quick. We had to call and move our reservation back and hostesses were very accommodating. Can’t say enough good things about the food and service here! Only wish is that they’d bring back the mushroom risotto which was a favorite. Patrice, thank you so much for joining us! We are so glad you enjoyed the food and service. We'll pass along your request to have the mushroom risotto back on the menu again. We look forward to seeing you again soon! Great place. Food was delicious and our server, Jasmine, was excellent. Thank you so much for joining us! We are so glad you enjoyed the food and Jasmine's service. We look forward to seeing you again soon! My fiancee and I have been going to Circa regularly since early this year. 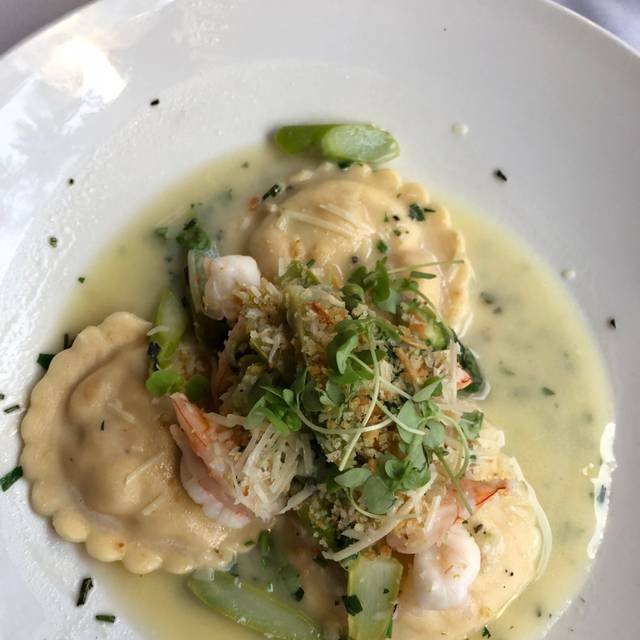 It is conveniently located right next to the Foggy Bottom metro station, which makes it the perfect place to eat before or after a show at the Kennedy Center, one of our favorite pastimes! 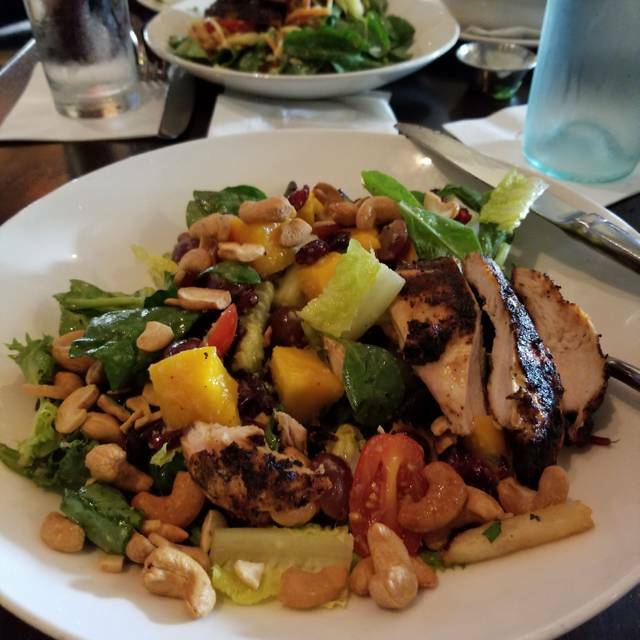 The food is always excellent no matter what we order (we especially like the jambalaya and the braised short rib that's been on the specials lately) and the service is great. We've come again and again, and I'm sure we'll be back! Thank you so much for joining us! We are so glad you enjoyed the Braised Short Rib and Jambalaya! We look forward to seeing you again soon. My out of town friends really liked it. Easy to find, convenient, classy but not pretentious. Thank you so much for joining us! We are so glad you and your friends enjoyed everything. We look forward to seeing you again soon. Thank you so much for joining us! We are so glad you enjoyed the Blackberry Margarita and salad. We appreciate your feedback and look forward to seeing you again soon! We had reserved an outside table, but they didn't have one ready for us. After waiting ten minutes for them to try to find a table outside, we decided we'd rather sit down inside (where it is very noisy) than wait any longer. Very disappointing. James, I am so sorry to hear about your experience when you joined us! We will be following up with our team to address your feedback. We hope to see you again soon! Do not expect fine dining. Waiter stopped twice during dinner. It took over a half an hour to get a bottle of wine. If you want a loud place with decent food then don't hesitate. Thank you so much for joining us! We are so sorry to hear about your experience. We will be following up over private message to learn more. Marti, thank you so much for joining us! We are so glad you enjoyed the service. We look forward to seeing you again soon! Mara, thank you so much for joining us! We are so glad you enjoyed everything and look forward to seeing you again soon! I had dinner alone. The service was courteous and very attentive. I had one of the best steaks I’ve had in a very long time. Will definitely go there again when I’m in DC. Thank you so much for joining us! We are so glad you enjoyed everything and we look forward to seeing you again soon when you're in the area! Circa at Foggy Bottom is my go-to place for a business lunch. The food is consistently good, the service is attentive and the prices are certainly reasonable for Washington, DC. Thank you so much for joining us! We are so glad you enjoyed everything! We look forward to seeing you again soon! Thank you so much for joining us! We are so glad you enjoyed the patio and the Brussels + Blue! We look forward to seeing you again soon! Food is very good Servers are quite good at understanding theatre plans. Food delivery timing could be better. Thank you so much for joining us! We appreciate your feedback and look forward to seeing you again soon! We had a lovely waiter who was considerate and, unexpectedly, brought us a birthday dessert to go. Andy, thank you so much for joining us and for celebrating your birthday with us! We look forward to seeing you again soon! Thank you so much for joining us! We are so glad you enjoyed the food. We look forward to seeing you again soon! Tom, thank you so much for joining us! We are so glad you enjoyed the Brussels + Blue! We hope to see you again soon! Thank you for joining us! We are so glad you enjoyed the $4 mimosas! We hope to see you again soon. Always a great time at Circa Foggy Bottom. The staff continues to be friendly and hospitable! Service and food, great all around. Thank you so much for joining us! We are so glad you enjoyed the food and service! We look forward to seeing you again soon! We were visiting DC for the weekend (two adults, two children 6/8) and after a long day touring the National Mall, we wanted something a little outside of the DC-Penn quarter to relax. CIRCA was a terrific option as the food was great, the atmosphere lively and the drinks delicious. We had a number of small plates (the tuna nachos were above average) and entrees (Tremendous burger!!) that were perfect for the adults and kids alike. Don't skip on the Nutella Trifle, it was outstanding. Overall, we really enjoyed our visit. Michael, thank you so much for joining us! We are so glad you enjoyed the Tuna Poke Nachos, burger, and Nutella Trifle. We look forward to seeing you again soon! It was my friend’s birthday so we got together to celebrate. The staff was so sweet and went the extra mile to make sure we had a great experience! Thank you so much for joining us and for celebrating your friend's birthday! We are so glad you enjoyed everything and look forward to seeing you again soon! Good quality food and service. We were happy with the wine, fish, and the excellent service. Ambiance is average and noise is high. It was difficult to hear each other talk. I wonder if it’s better during weekdays. All in all I recommend it.